Discover how to boost your skills and master Cinema 4D with our collection of expert tips. Cinema 4D is one of those 3D applications that has grown over the years to cater to users of all different kinds, from shader builders and texture artists to motion graphics and simulation experts, character modellers and animators. It's a vast and capable tool, but that comes with a learning curve and although it's one of the friendlier applications, you'll need to put some time in – and study some Cinema 4D tutorials – to master all it offers. With that in mind, we talked to members of Cinema 4D's large, thriving community to discover the best ways to get the most out of the software. Read on for advice that will hopefully give you a leg up the learning ladder, boost your skills and make you more productive so you can concentrate on being creative. "As a Cinema 4D user myself I'll kick things off with my favourite top tip for any situation," says 3D World's editor, Rob Redman. "Cinema 4D has a multitude of options, menus, tools and tags. Memorising them all is a big task, so while you get working on that there is a simple way to access just about anything in Cinema 4D. Hold shift and C. A little pop-up input field will appear at your cursor. Start typing the command you want and anything that has the characters you typed will appear in a list. Select it and hit enter. You're done." "Takes are a great way of quickly working through look development in one scene file," says 3D motion designer Jason Poley. "Being able to change a model's position, materials and visibility on a take-by-take basis to iterate ideas is extremely handy. I'll often end up with five to seven takes as I work through ideas and looks. "To consolidate all these takes down once a look's approved, select the take you want, then select everything in the Object Manager. Right-click and select Remove from All Takes. This moves all the changes in that take to the main take. Delete your other takes to tidy up a move into production." "Layers are great for keeping your Object Manager under control in larger scenes. Having a system from the start of a project will help if things get complicated later," adds Poley. "Create a layer in the Layer Manager or right-click with objects selected and select Add to New Layer. Drag from the Object Manager to add to layers or hold down ctrl/cmd to add an object and all its children. "Having the ability to lock, solo or hide different aspects of your scene can make working smoother and faster. The usual layer configuration is: Camera, Lighting, Hero Geo, BG Geo and Sims/Particles," he explains. 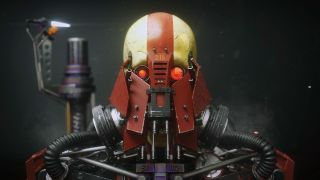 Glen Southern, of digital design studio SouthernGFX, says that one of the main ways to create stunning models these days is to sculpt the initial form in programs like ZBrush or Mudbox and then retopologise the sculpt. "This is the process for creating new geometry that is more animation friendly, more predictable with contiguous edge loops and much lower in polygon count, making it more efficient. You can of course do this in Cinema with tools like the PolyPen," he explains. "To make it even better," he continues, "you can download scripts like the HB Modelling Bundle that make Cinema 4D into a perfect retopology solution, enabling you to draw new geometry right onto your sculpt." "With Maxon developing a huge range of sculpting features for Cinema it would be silly not to utilise the toolset wherever you can," says Southern. "When you are modelling and you want to tweak an area with great accuracy, you used to have the Magnet tool and a Soft Selection falloff. Now you simply switch to the Sculpting mode, increase the subdivision levels and use the Grab and Pull tools. This is a dream for organic modellers and can be just as useful for hard-surface work. "Add to that tools like Inflate, Knife (scoring the surface) and Flatten and you have a pretty comprehensive set of tools to adjust a mesh once you have created the underlying geometry." Southern also recommends UV unwrapping a model. "Most people think a UV unwrap is just to allow you to map textures onto your mesh. This is of course true, but there are lots of scenarios where having a good set of UV coordinates helps. "Normal maps are used in most modern games, and of course you need UVs for those. There may be lots of times where you'll need to give selection sets to be used in composition further down the line. Having a model separated into good UV sets enables you to more easily select the areas you want, and not just in Cinema 4D. For example, you may need to take a model into ZBrush and polygroup it. If you have UVs you can do this with a single click. The UV tools in BodyPaint are pretty comprehensive and you can even pelt map. "One of the big problems we have is that we often get asked to work with models that have been made in Cinema 4D, and they just don't work well subdivided or in VR programs," says Southern. "It is all too easy to just model something to look good and forget about the underlying technical requirements. Get into the habit of making things out of quads and triangles. "N-gons (polygons with more than four sides) aren't as big of a problem as they used to be, but you are still better to clean them out of your models. "Booleans (meshing two models together) leave bad edges that don't deform. Get into the habit of retopologising these areas and make them good for the whole pipeline." "I wanted to create a very fast doodle character concept, along the lines of a flamethrower zombie soldier trooper," recalls industrial and concept designer Michael Tschernjajew. "I started by researching older projects and picked out some geometry parts that I could reuse for building and filling up the body parts. "At the start it's good if you have an initial 'layout' so model some very raw upper body parts, just for layout purposes. If your plan is to do a headshot, don't waste time modelling anything below chest level." "After setting my character layout, I start to fill out the upper body with bash parts. I do some additional modelling as well, for the spine parts and also some hydraulics for the neck," explains Tschernjajew. "You can use anything from older projects that look interesting, as long as you arrange it together in an interesting way. But don't exaggerate it – the parts should have a function on the character when you think of it in real life." "For the skull, I used a model that I had purchased for some medical stuff I did in the past. To make it more interesting I cut the skull into three parts and added a bit of geometry to the forehead," says Tschernjajew. "This was done very quickly by welding geometry together. Thinking of the final image, I decided to put some additional stuff behind the character to gain more depth. As I knew that I wanted to use depth of field in the rendering, the weapon did not need to be super high-detailed, as it would be out of focus in the final image." "Post-production was done very quickly, continues Tschernjajew. "The labels and some textures were completed afterwards in Photoshop. I do this very often because it's fast and also allows for flexibility. Of course this works only when you've fixed your perspective. "I used some decal textures and overlaid them onto specific parts of the model. You don't even need masks, just blend them together with a soft brush. "In the end I added some smoke using stock smoke PNG images, and used a Z-buffer to blend it together in Photoshop. "An additional ambient occlusion map was used to contrast up some parts. Don't use the ambient occlusion layer on lights or anything that glows, because it will eat up any glow or light effect. You can mask these areas out, or just use a white brush and paint it over. Use the Multiply blend mode, but never use it at 100% – I mostly use 20-25 per cent." "The PolyPen tool makes it possible to do a quick retopology," says digital artist Alina Makarenko. "For this, you need to enable additional options: Quad Strip Mode, Auto Weld, Reproject Result and Create N-gons." "The Subdivision Surface Weights tag and Subdivision Surface helps create a clean, smoothed shape with a good grid," explains Makarenko. "To do this, you need to place the final retopo mesh in the Subdivision Surface on the third subdivision editor, Loop Selection the edges and apply Subdivision Surface Weights. Moving left to right easily controlled the width of the chamfer." "Use the Edge Slide tool with Shift pressed on the selected edge, and move left to right to create a groove in the geometry. It is important to work with the converts object after Subdivision Surface. This enables you to detail large strands of hair," says Makarenko. "Using the Pen tool in the spline helps to quickly create thin strands of hair," continues Makarenko. "Enabling the snap to polygons option makes it possible to build the necessary splines on the base mesh of hair. Disable Snap and Pen in free mode in order to edit the splines. Work with this tool under the Sweep Nurbs. It is a very easy and fast method."